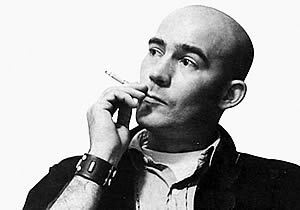 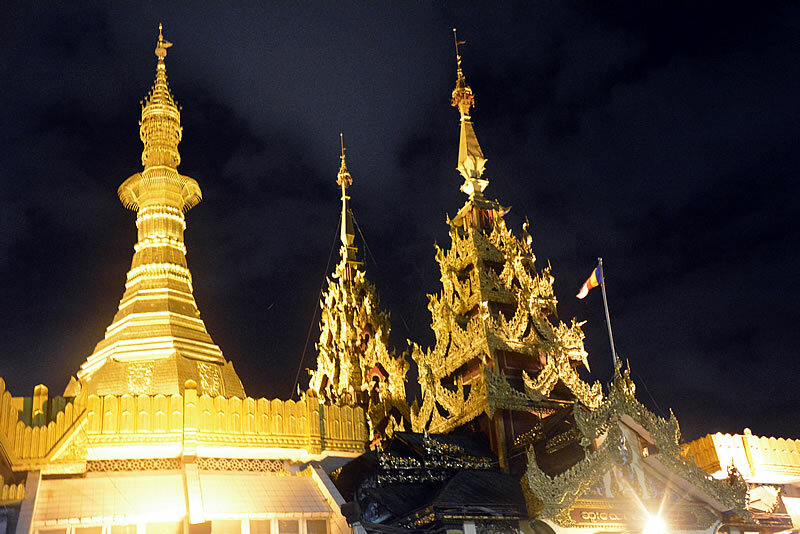 Ever since my first foray into Burma in 2005 I had a deep desire to return to this mysterious land to the west of Thailand. 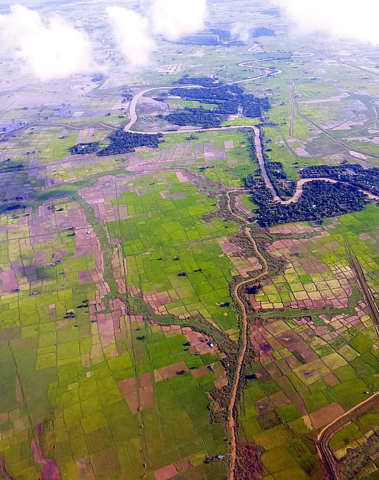 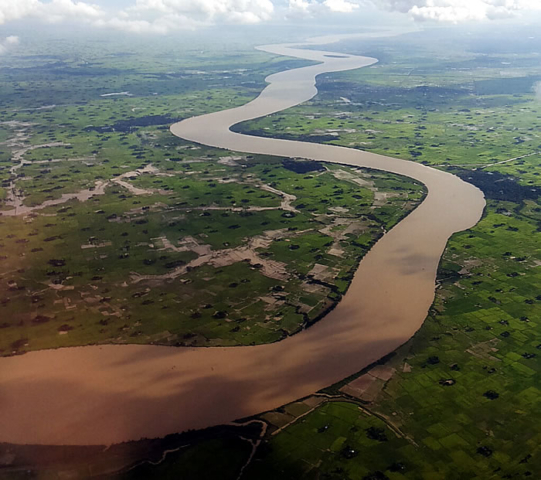 First impressions from 20,000 feet are of an emerald green landscape dotted with tiny wooden villages and meandering coffee brown rivers. 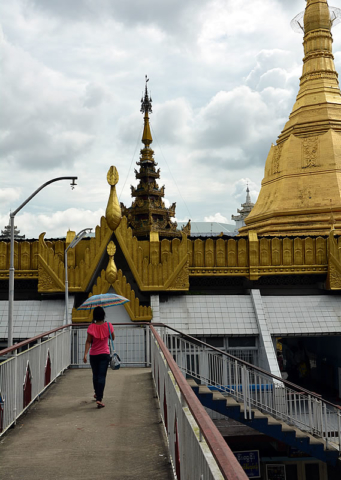 Descending to land in Yangon seemed premature as there was no sign of anything even resembling a city though the golden orb of the Shwedagon Pagoda could clearly be seen winking in the sunlight way off in the distance. 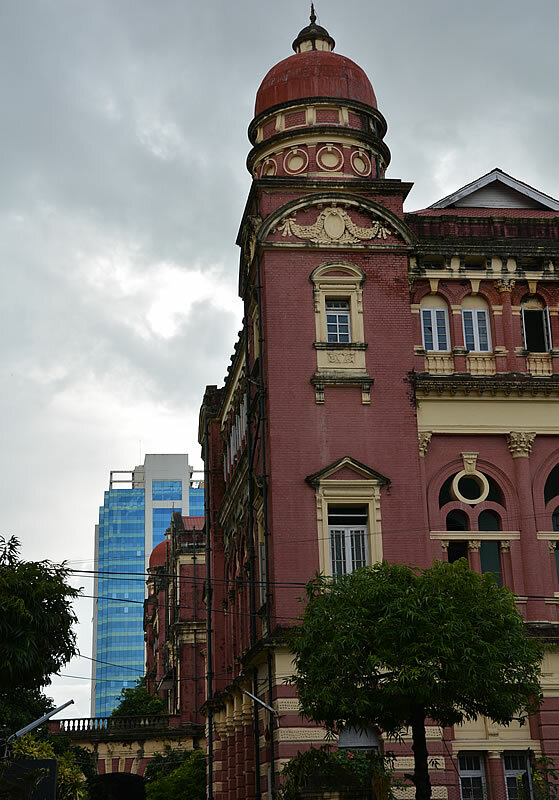 Fortunately a close friend working for an NGO had an apartment in the heart of the colonial district so I grabbed a cab for Pansodan Street and, after a blast through some utterly chaotic traffic, found myself at the foot of the towering red brick Telegraph Office built by the British almost a century ago. 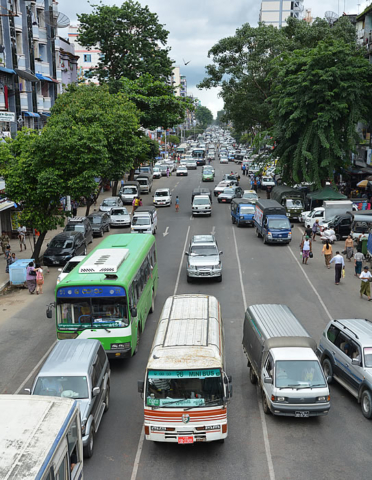 While the traffic can get a little hairy here it seems far more manageable than the lunacy in Bangkok or Manila, though the drivers are just as unpredictable, impatient and permanently leaning on the horn. Unlike many other Asian cities taxis here are plentiful and very cheap; a ride across the city can be made for a couple of dollars. 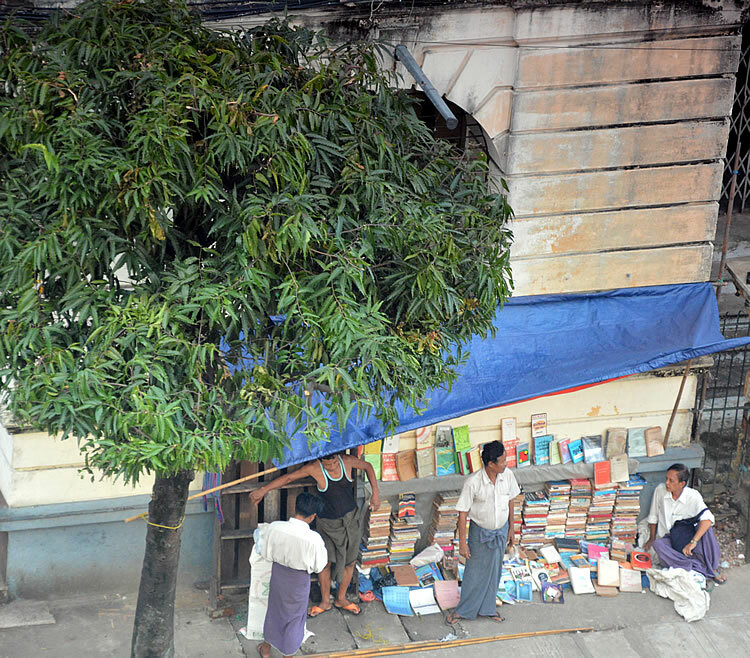 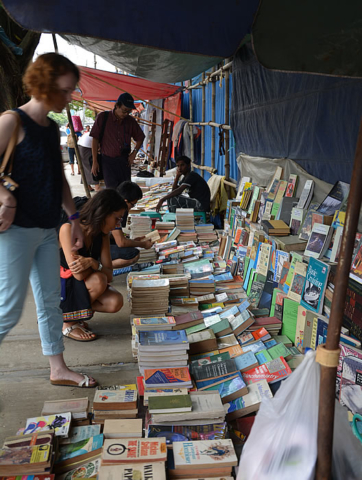 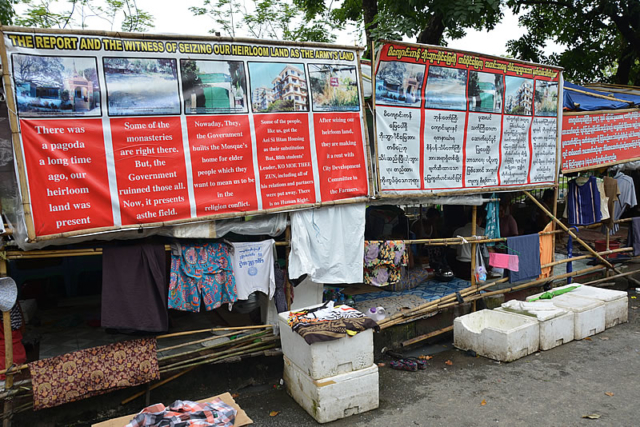 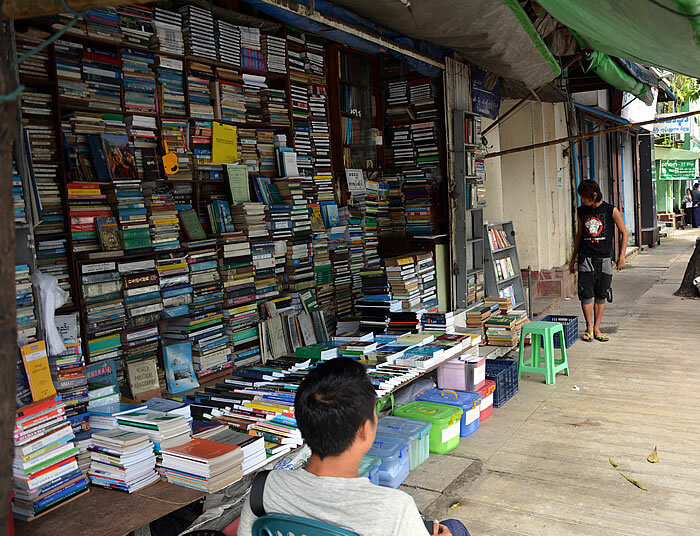 A stroll down to the river reveals rows of makeshift book shops setup on the street, the Burmese are big on books and avid readers, some treasures from times gone by can be found on tarpaulin sheets lining the pavement. 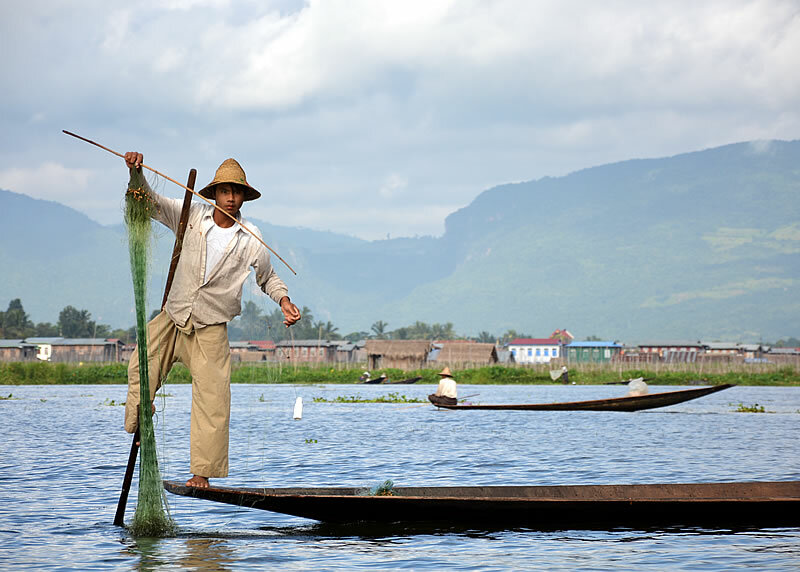 Anything from original hundred year old works by Robert Louis Stevenson to guides to cockfighting and fish keeping to books on astrophysics – it can all be found here if you look hard enough. New and old stand side by side, grand old colonial structures such as the High Court and Customs House share the street with the ever advancing tide of progress and new construction in the form of offices and apartments. 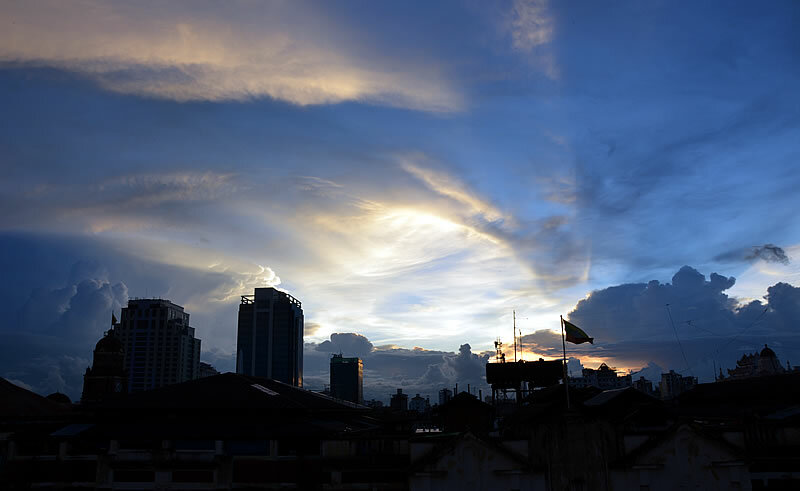 A mere handful of tall buildings dot the skyline however with the rampant construction occurring on what seems to be every corner this is soon to change. The docks and port area is also undergoing major renovations and it seems that very little is being done to preserve the colonial buildings as no design or zoning of new developments appears to be happening – this is a rapidly changing city. 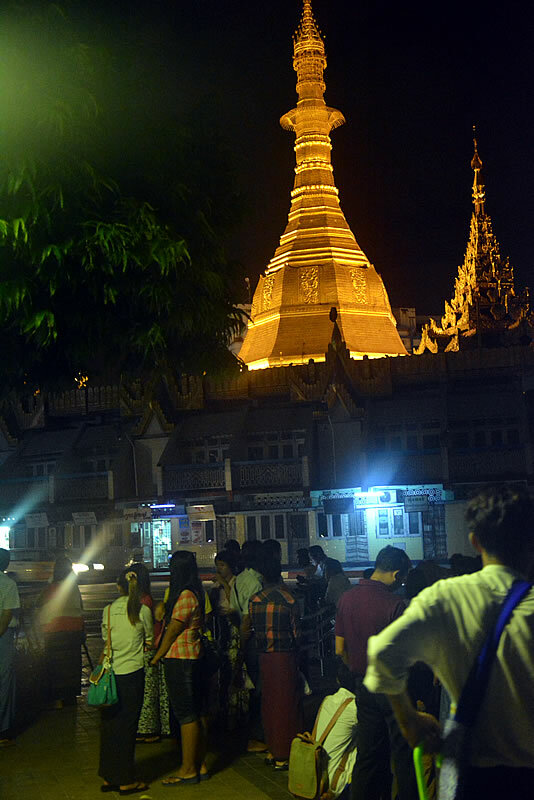 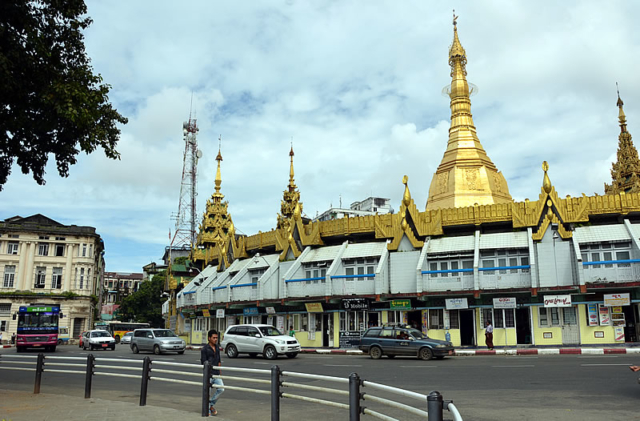 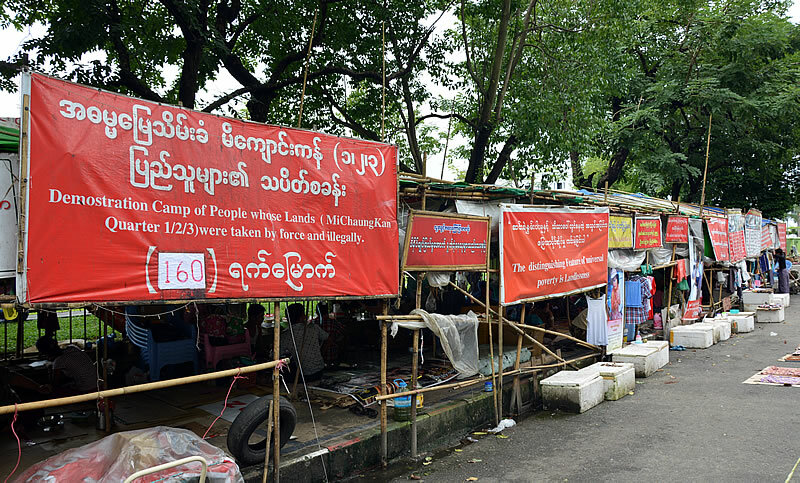 Sule Pagoda marks the old heart of downtown Yangon; around the outside of it are hundreds of mobile phone shacks that have sprung up overnight to feed the embryonic telecoms industry. 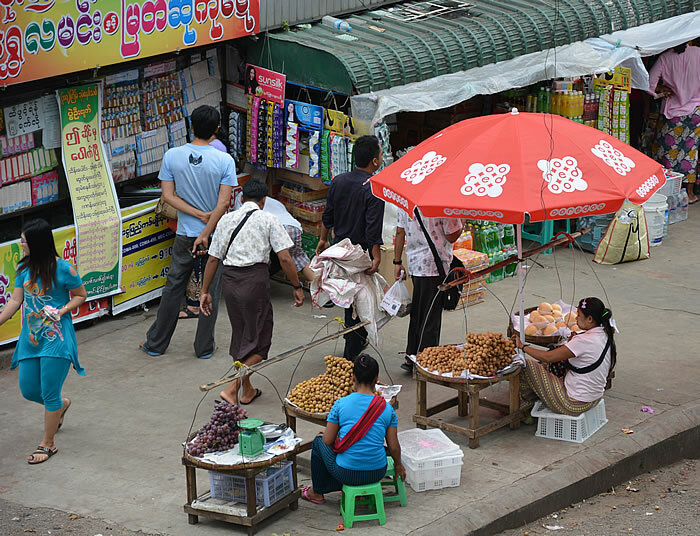 Getting a SIM card and mobile internet is remarkably easy and cheap at $1.50, this would not have been possible just two months ago. 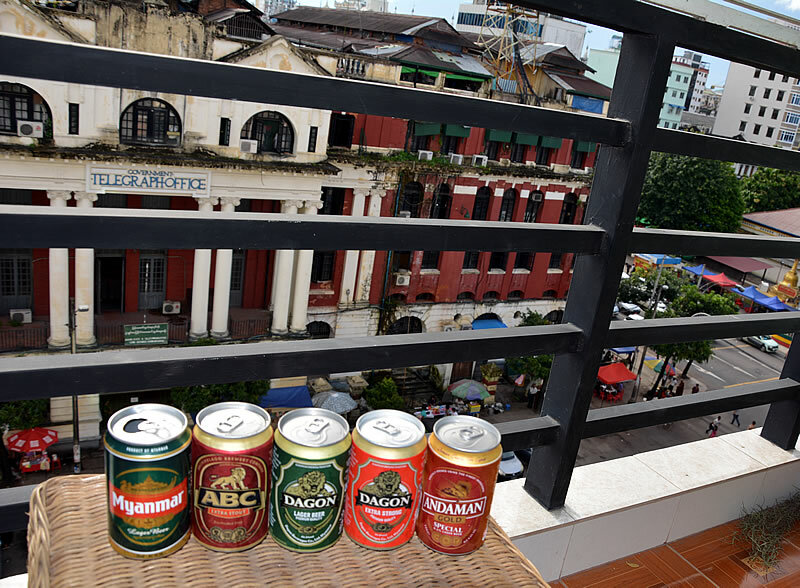 That said the service is far from consistent and reliable with frequent outages and slow connectivity, a swanky bar called Gecko down the road has good wifi but you have to pay triple price for the drinks to use it. 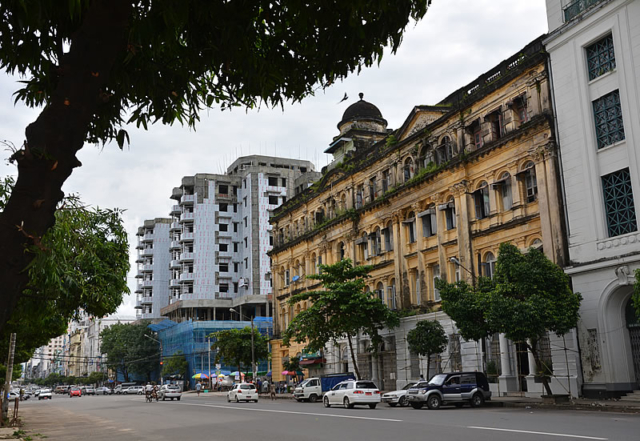 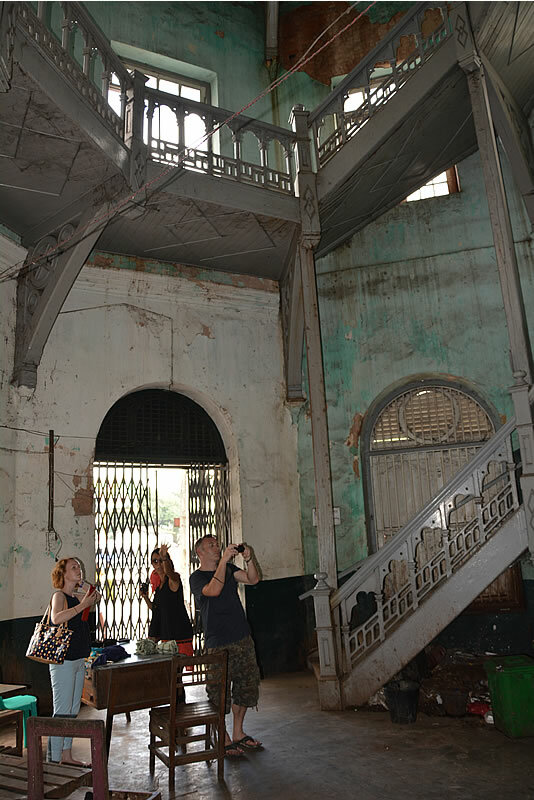 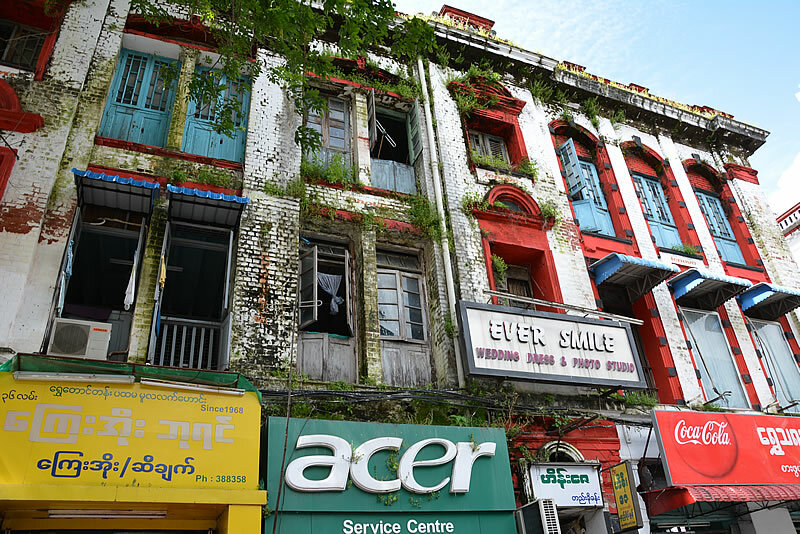 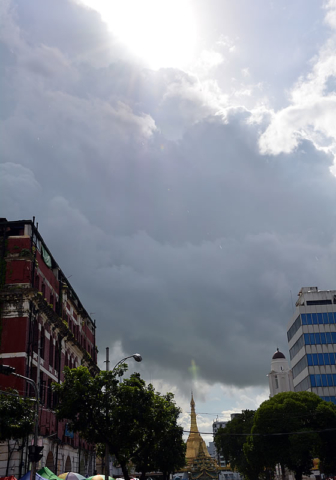 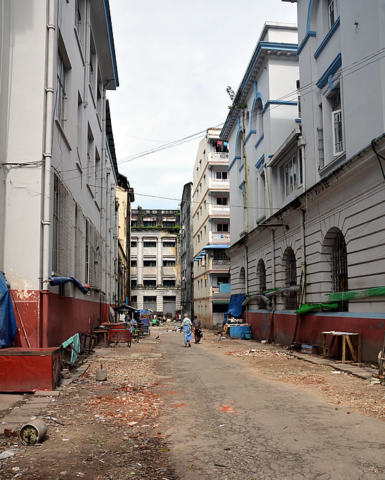 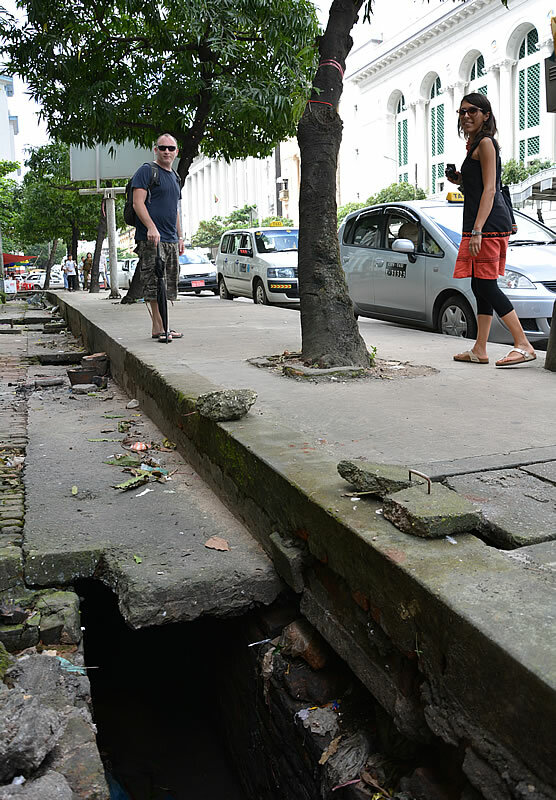 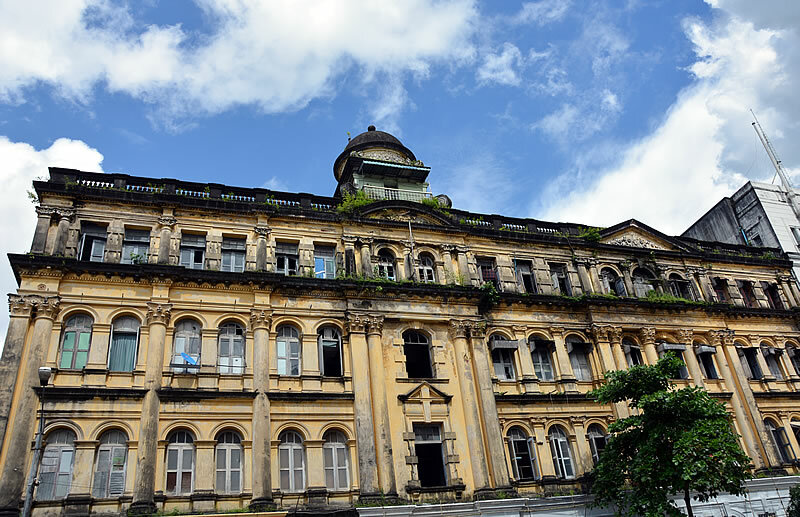 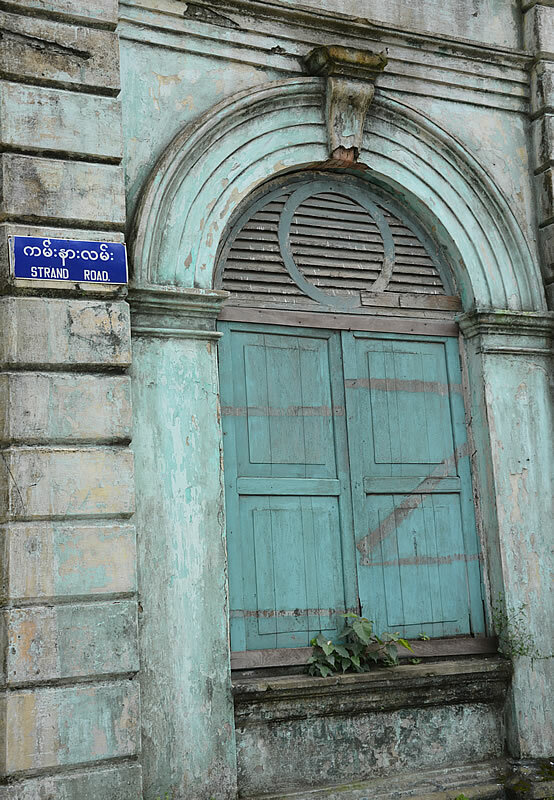 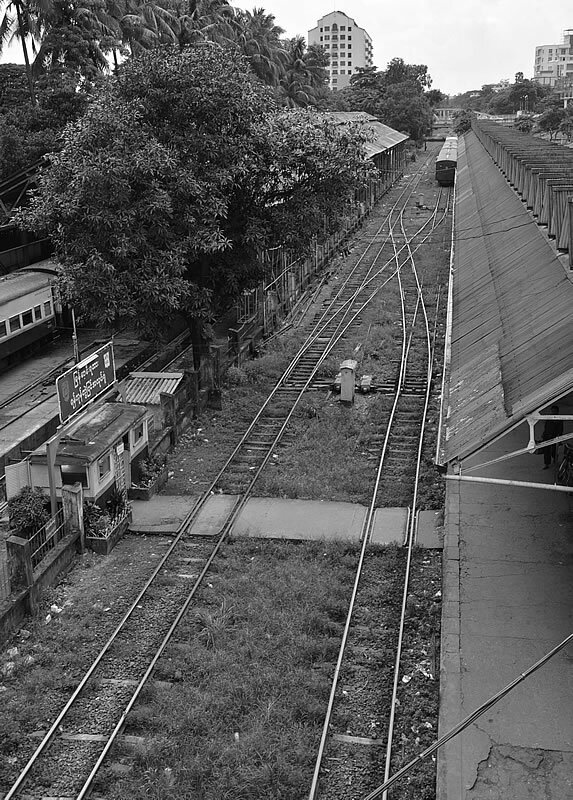 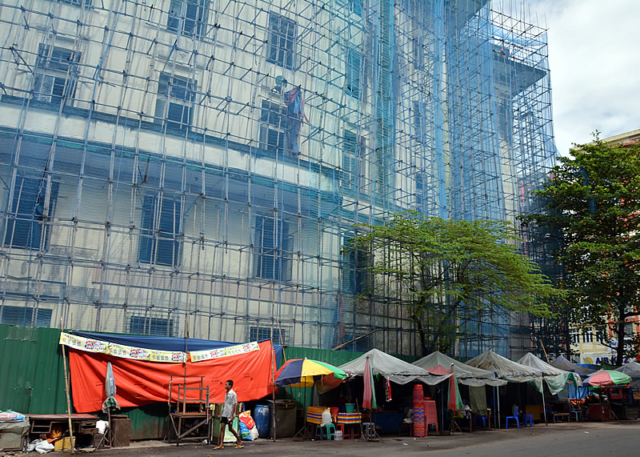 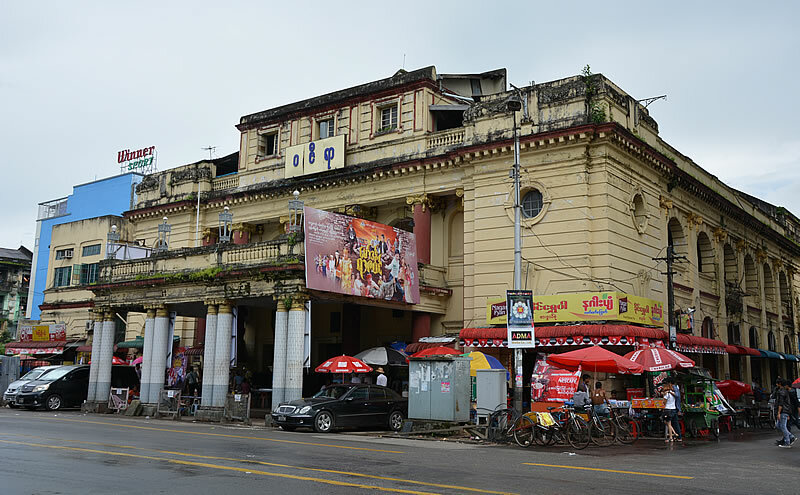 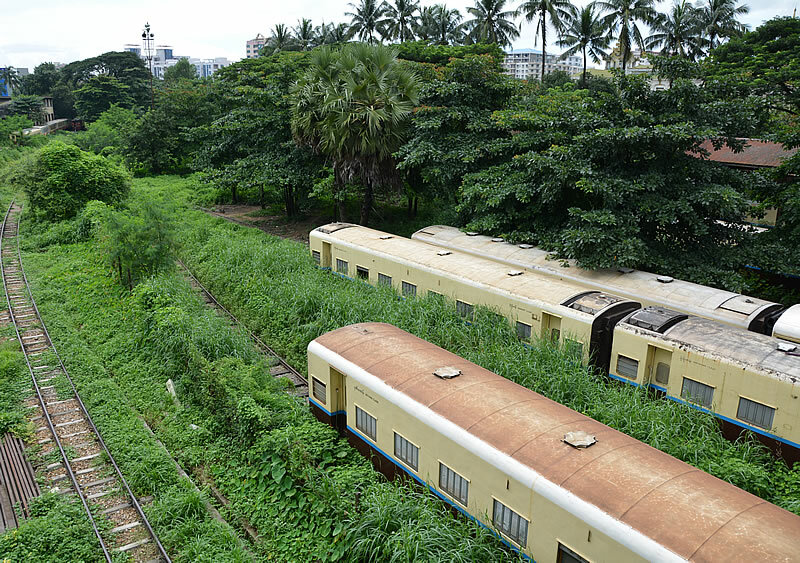 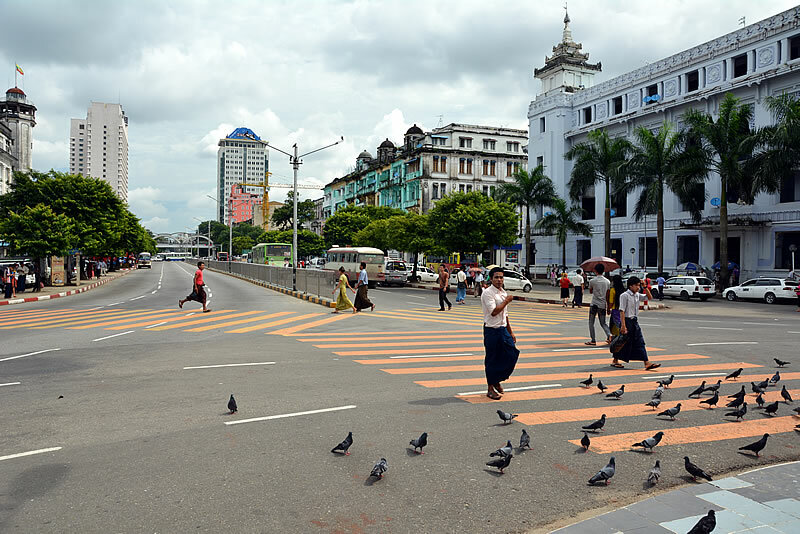 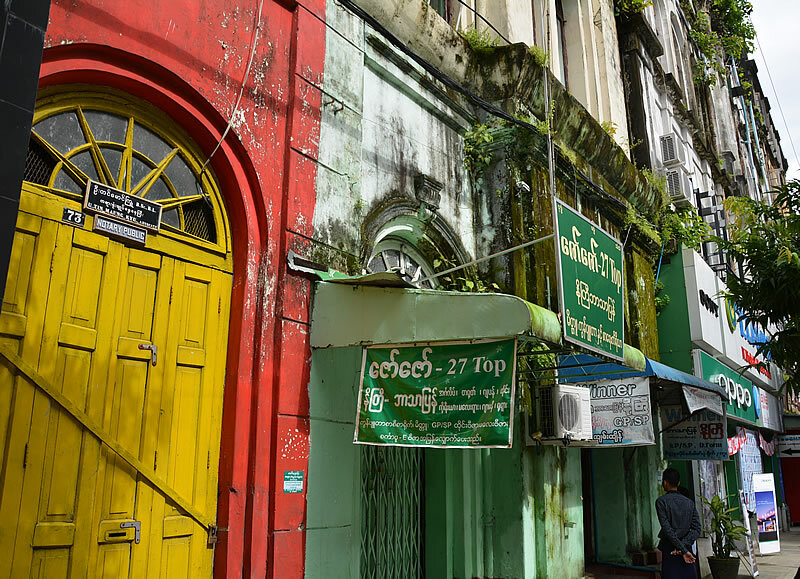 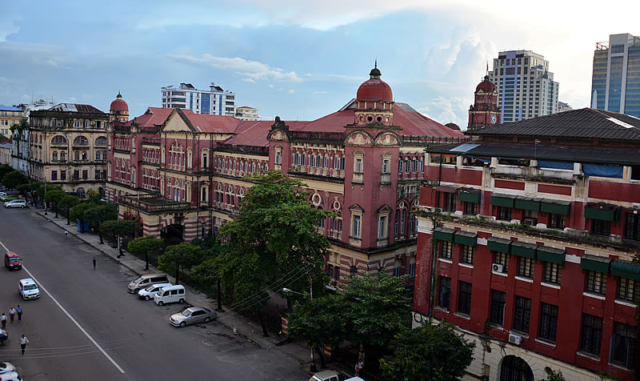 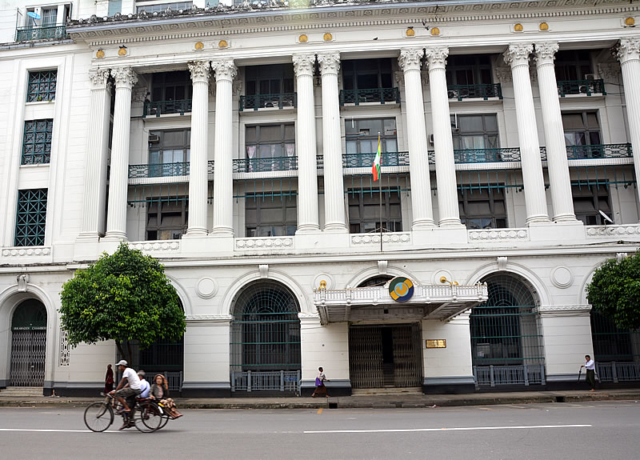 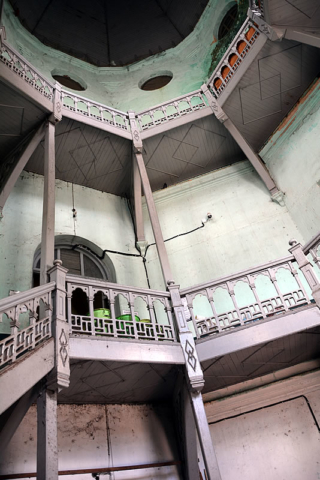 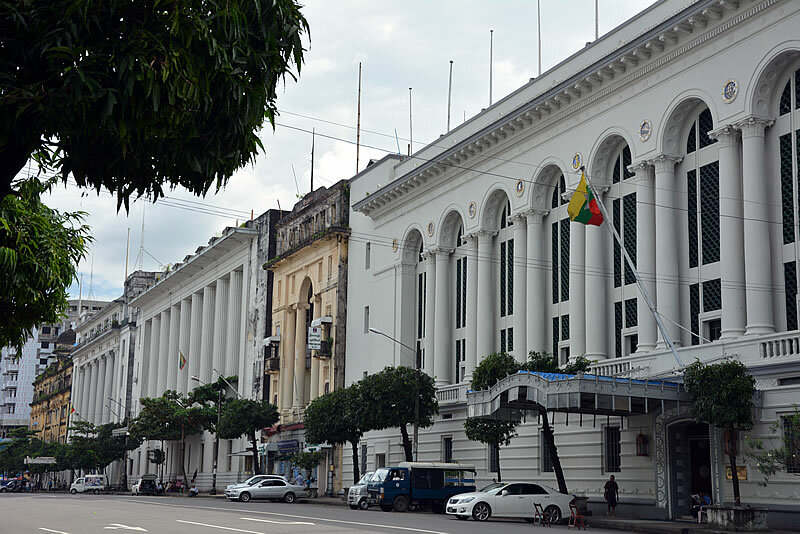 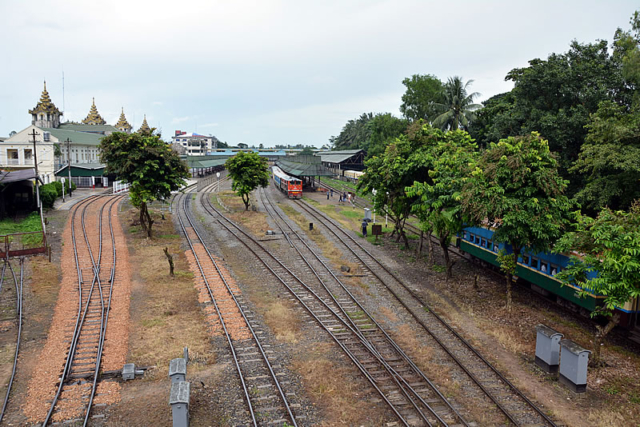 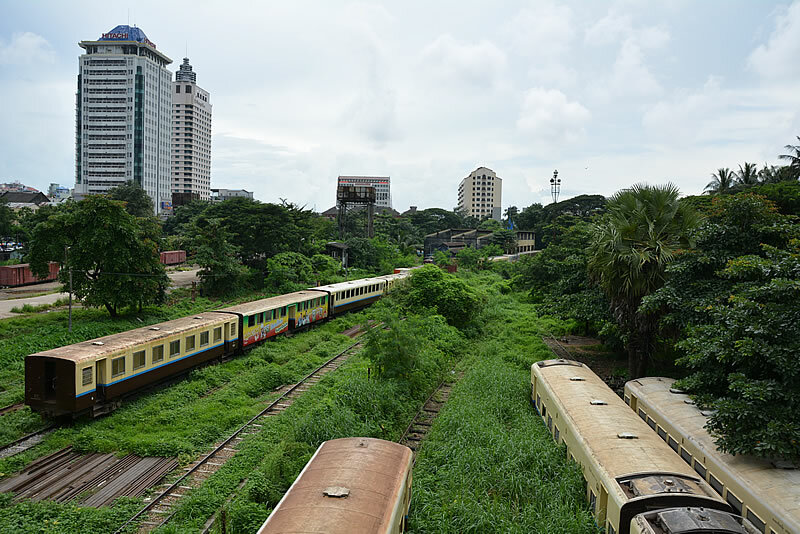 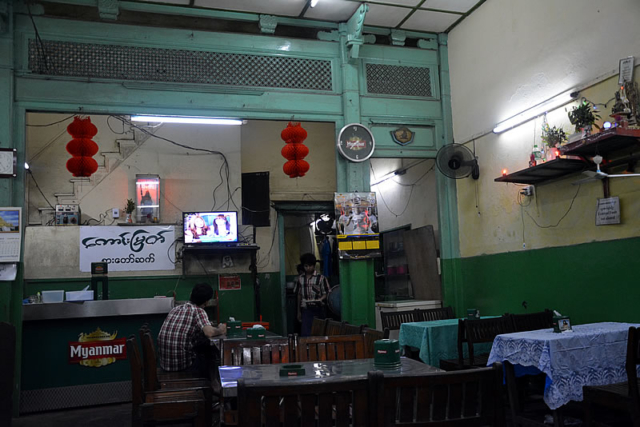 Yangon is a time capsule that is about to be thrust into the modern world, quaint little shops and food stalls come and go at various times of the day, I even had to step through a mobile restaurant to get into the apartment block. 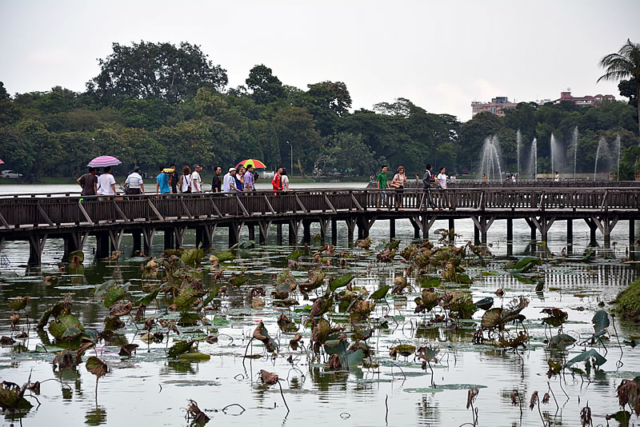 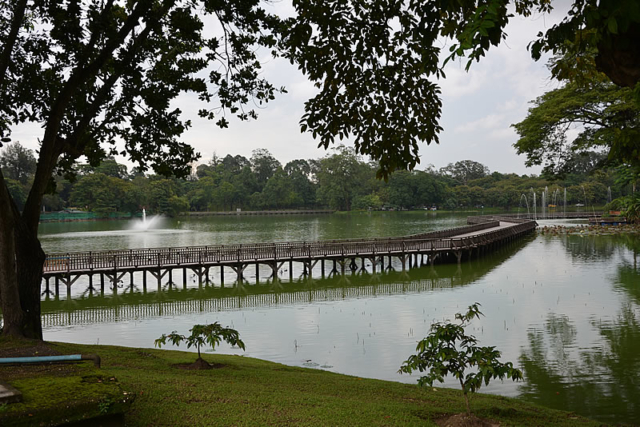 It feels a little like Hanoi but without the bikes which are banned in the city due to some army sensitivity or other. 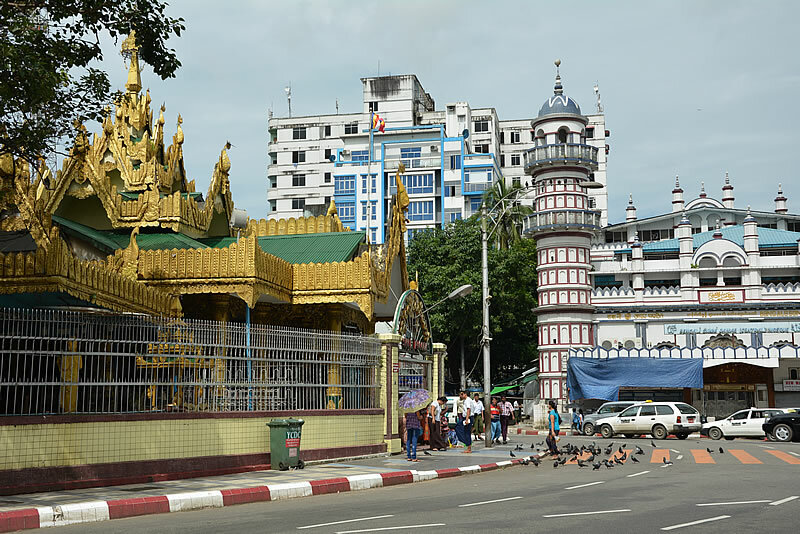 You have no idea what will happen when you venture out in Yangon, the people are inquisitive and very friendly, being approached by curious locals simply wanting a chat does not happen in many other capital cities. By day it is a noisy raucous place with the honking of horns, the holler of bus boys, and the shouts of traders and vendors filling the balmy air. 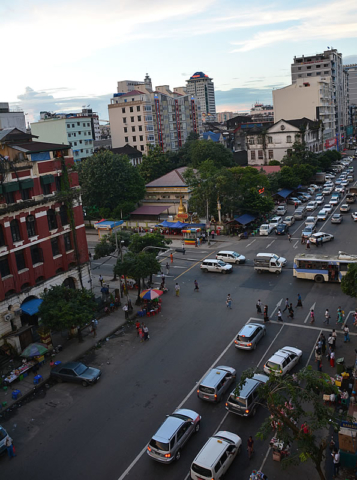 By night the streets are eerily quiet and dimly lit, with the occasional car slinking by, often feeling as if an unimposed curfew is still in place. 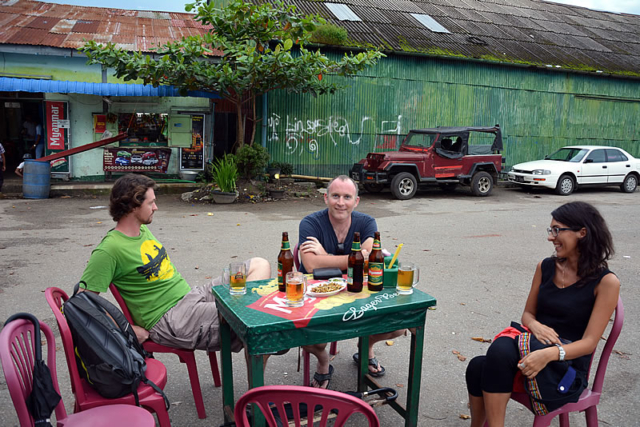 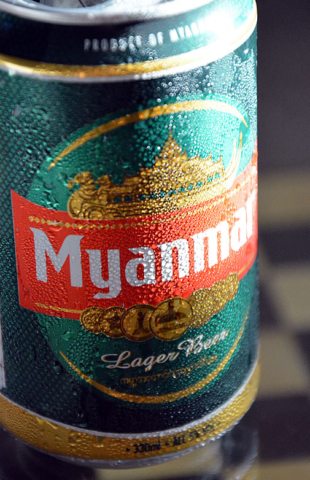 Around town I was delighted to discover Burmese ‘beer stations’ which are essentially man caves for longyi wearing locals to chew the fat, watch the footie, and of course drink beer – naturally I felt right at home in our local one which was called ‘Lion World’. 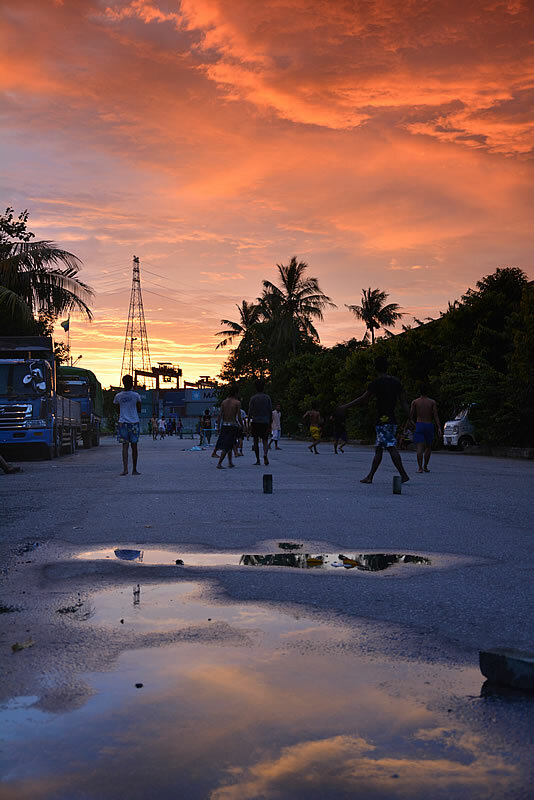 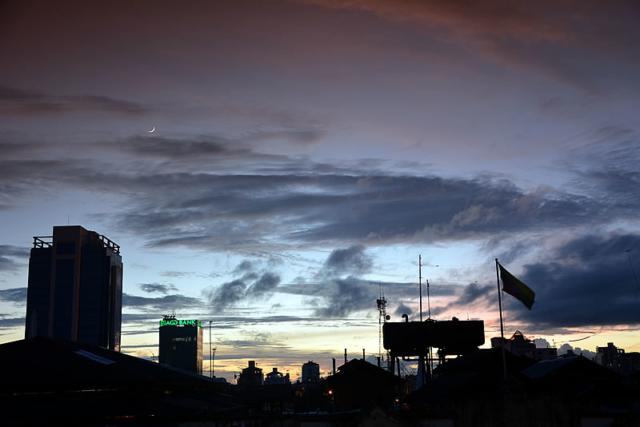 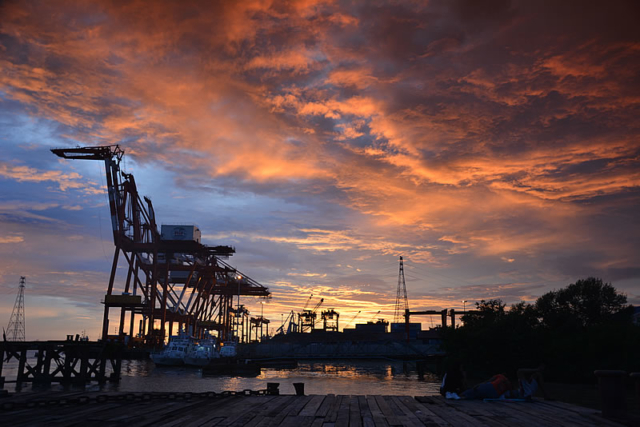 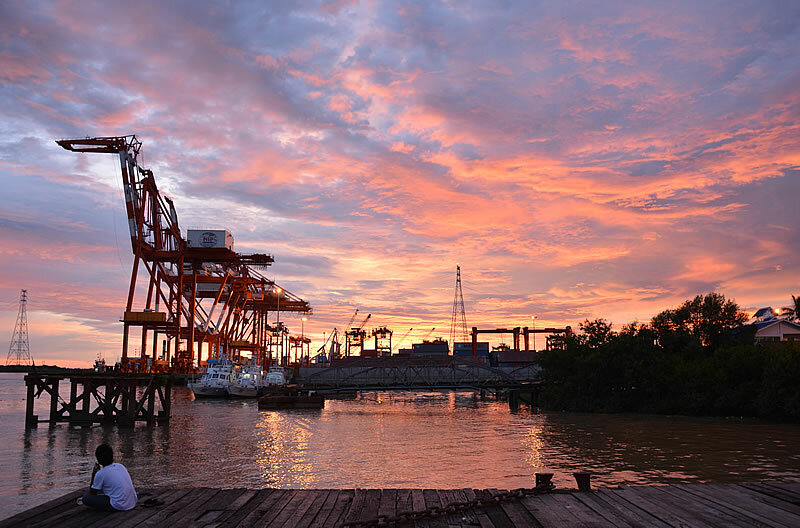 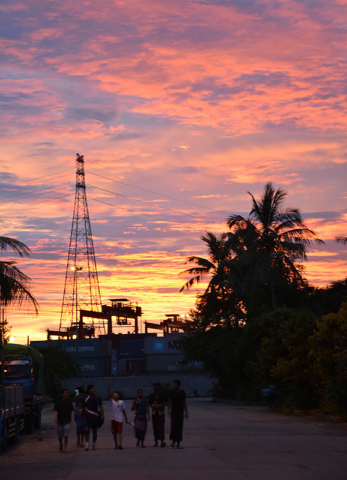 Sundowners were taken on a rickety table adjacent to a feral little shop in the docks where the huge cranes made the backdrop for a sky that turned a shade of molten lava orange as the sun slunk into the Yangon River. Despite what can be read on the internet this place is virtually devoid of westerners, you certainly stand out here walking around. 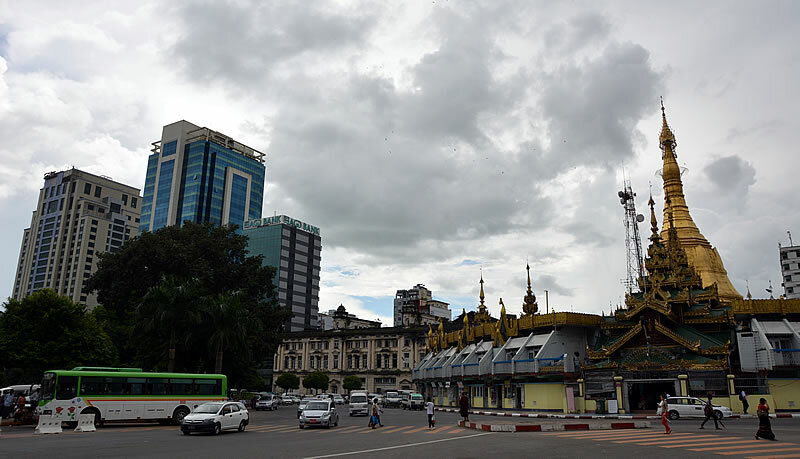 The tourism ministry has estimated 3 million arrivals this year, maybe they don’t come in August because it is monsoon season … or maybe they’re all in Mandalay – there certainly aren’t many in this part of town. Smart phones are a recent introduction to Burmese life so there isn’t the zombie culture you find in Bangkok and Singapore where everyone is mindlessly plugged into their device. Probably just as well as you could easily fall into a gaping black hole in the sidewalk here if not paying attention to where you’re going! 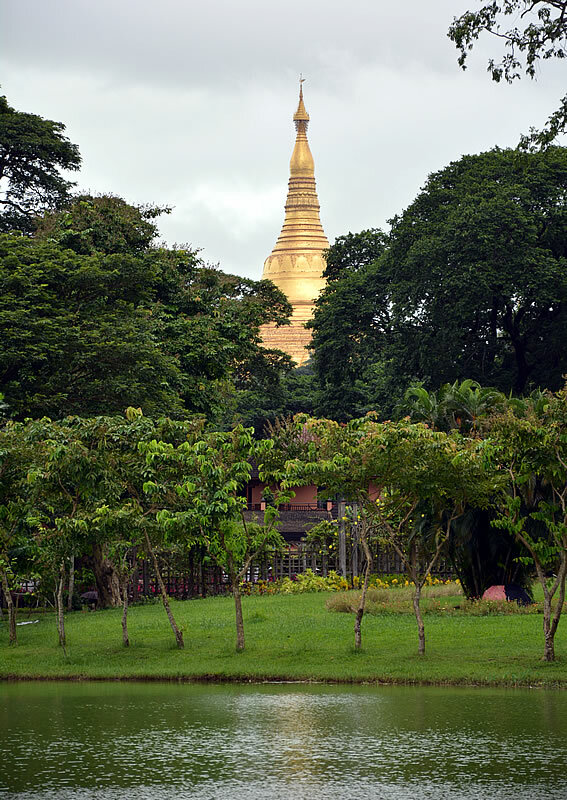 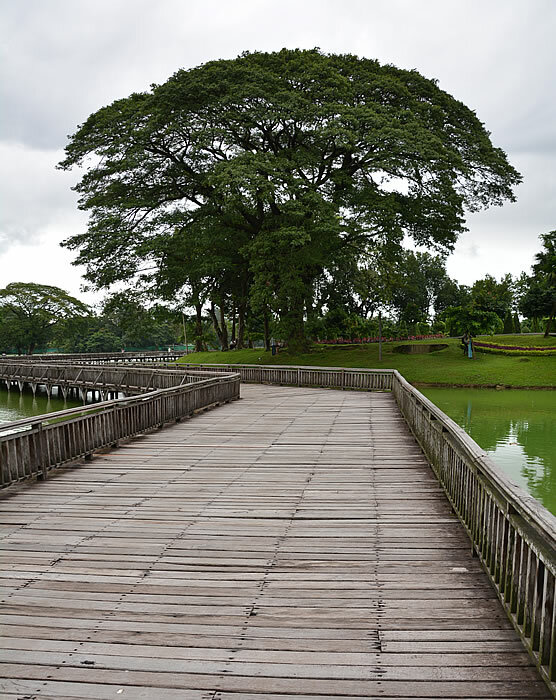 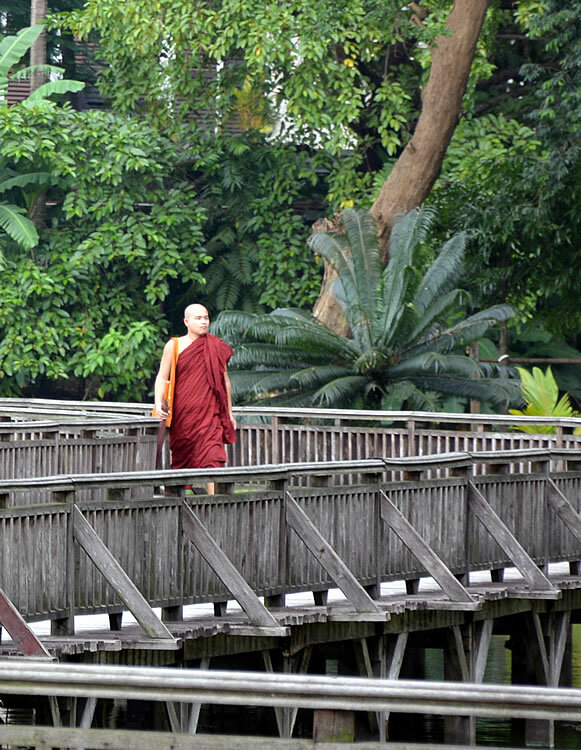 Yangon is best explored on foot and today takes me north to Kandawgyi Lake for a little serenity. Skies are brooding but I have yet to experience the torrential downpours that should be descending on Burma at this time of year. That said, an umbrella is the essential companion in Yangon, used as a sun shade and mostly for its intended original purpose. 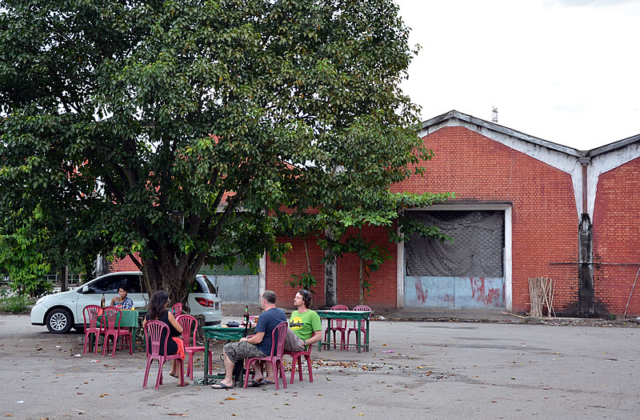 19th Street is lined with local restaurants, barbecue stalls and beer stations and after dark it is teeming with life. 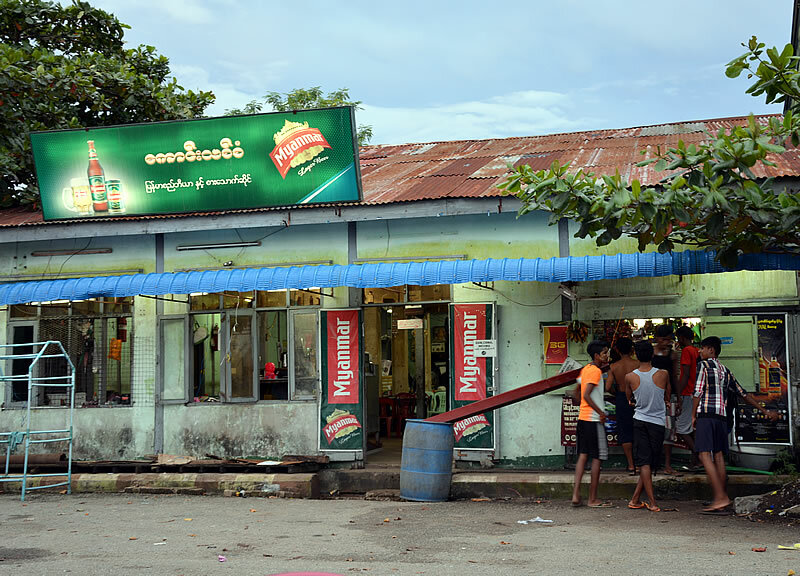 Food in Myanmar is a little closer to Indian than Thai or Chinese, it is also very oily but exceedingly tasty and very cheap with the average meal costing less than two dollars. Beer is even cheaper at a dollar a tin and the country doesn’t seem to have the paranoia and hangups about alcohol consumption that Thailand has. 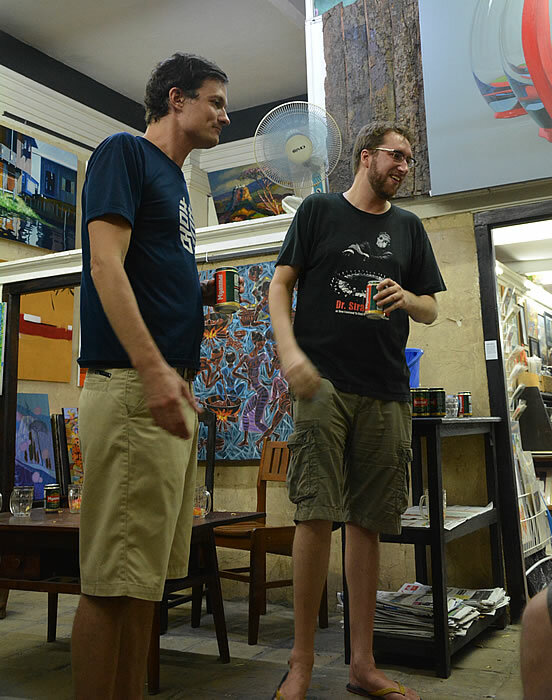 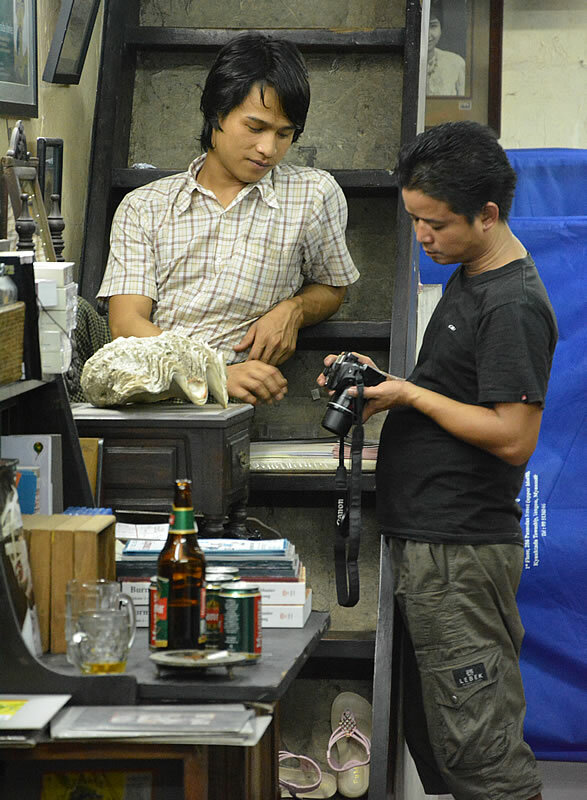 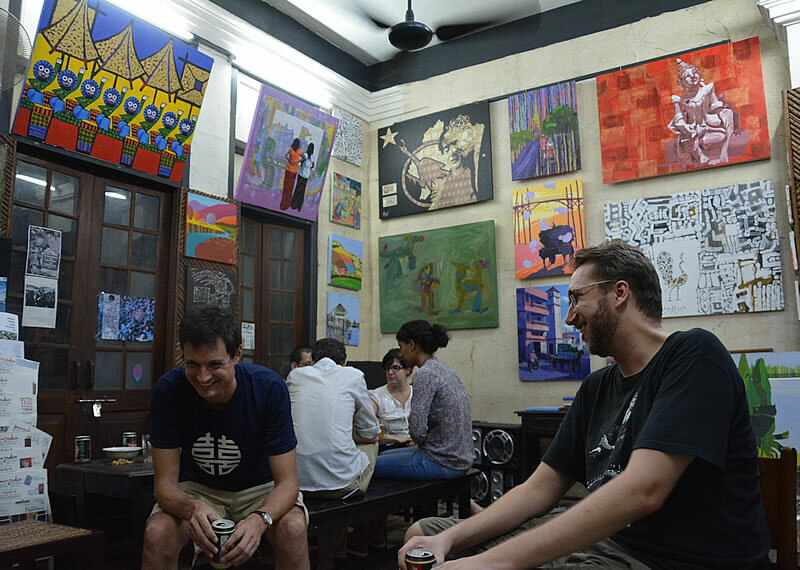 One of the delights of Yangon is that you never know what is going to happen next, that night I end up in an art gallery drinking with local expats who are largely made up of NGO workers, writers, photographers, teachers and entrepreneurs. 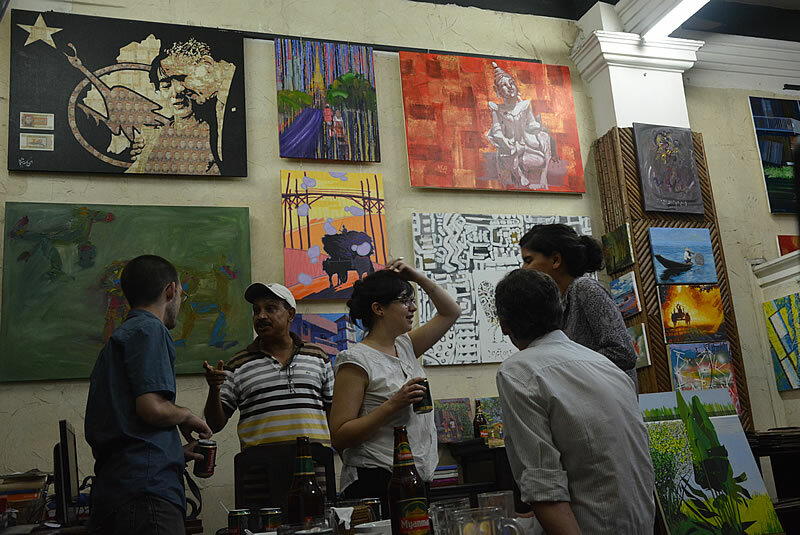 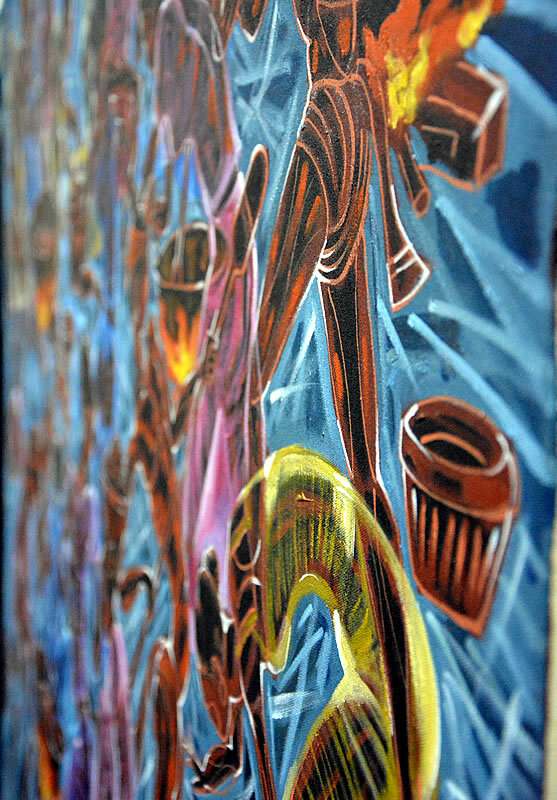 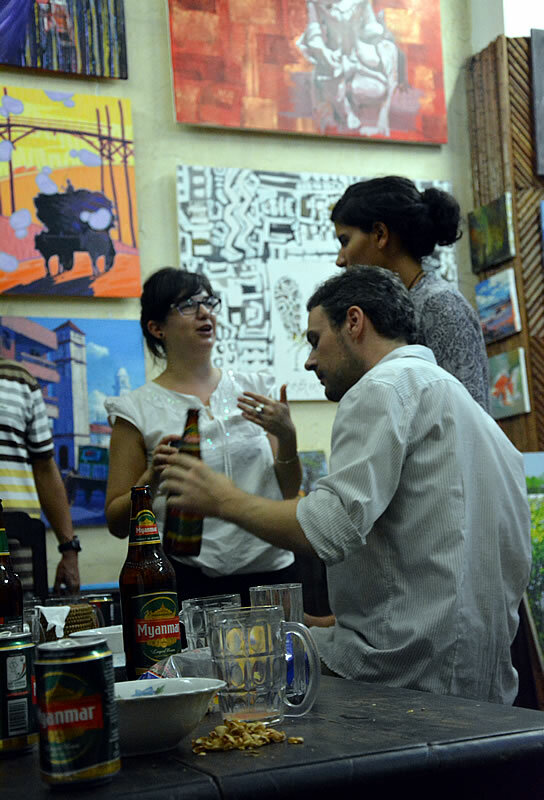 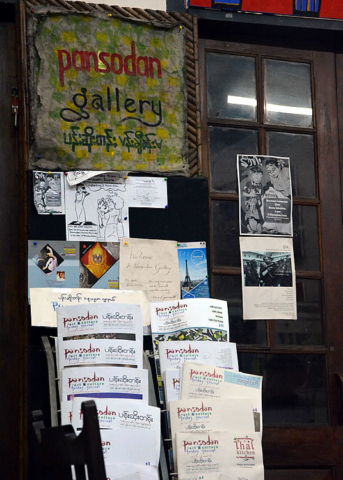 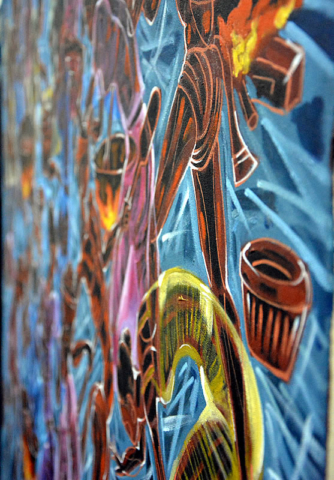 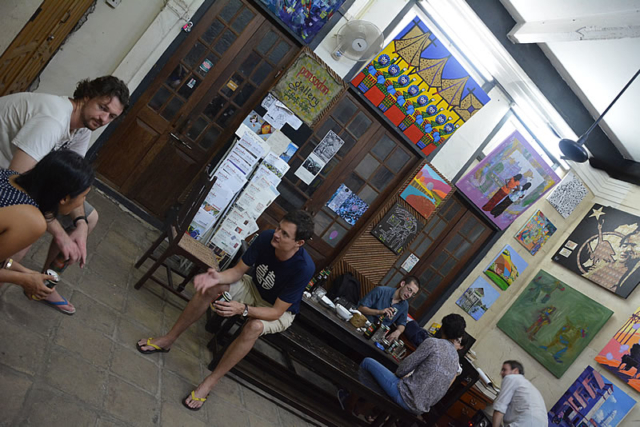 Pansodan Gallery turns into an expat meeting place every Tuesday and it is a lively bunch that fills the vibrant painting adorned room this night.